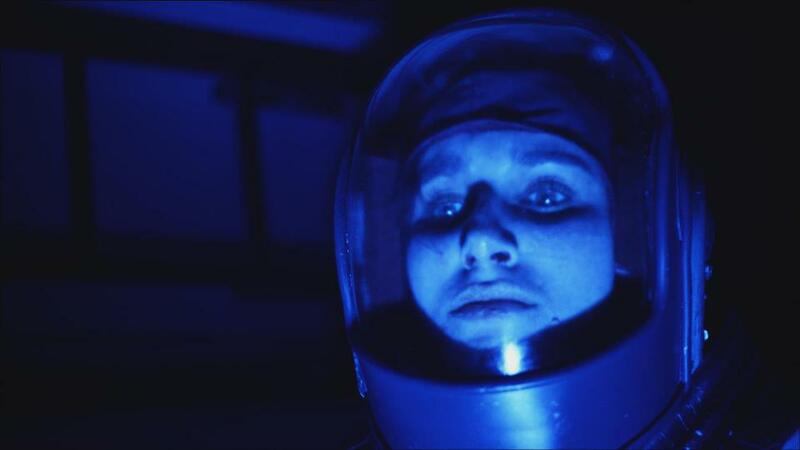 In space, no one can hear a heart break—unless, the aggrieved lover decides not to bear her disappointment in silence. Confined environments are difficult places to work out relationship problems as the crew of a two-person space station learns in writer-director Sabrina Doyle’s short film 113 Degrees (trailer here), which screens during the 2013 Brooklyn Film Festival. Francesca and Joe have grown close during their time in space together. At this point, they share the same bunk. It would seem to be an Eden-like situation, but an interstellar call from Joe’s terrestrial wife serves as a rude awakening for his commander. Disturbed by the incident, she carries her agitation with her during a supposedly routine space walk. This leads to serious complications. Granted, most romantic tragedies are not overly concerned with cooling systems, but the guts of 113 involve the lovers’ betrayal and sacrifice. This is really the sort of film that uses science fiction trappings to tell a straight forward human story. Indeed, it hits some deep chords. However, it is important to note Doyle, producer Matilde Barbagallo, and editor Marian Jiménez are all women, lest the film be accused of perpetuating the stereotype women are more likely to become emotionally overwrought than men. As Francesca and Joe, Lizzy Davis and Brian Groh quickly convey a sense they share some long, intimate history together. They are a believably flawed couple. However, his long haired hipster coif looks rather out of place. Even in the future, aside from space tourists, most astronauts are still likely to be ex-military. Regardless, the rest of the production is technically quite impressive, especially considering Doyle’s budget constraints. Hollywood tent-pole veteran Greg Derochie’s VFX team convincingly renders Francesca’s space walk outside the station and the deteriorating conditions within. One could easily believe this is the same world as the Alien franchise or Duncan Jones’ similarly scrappy Moon. 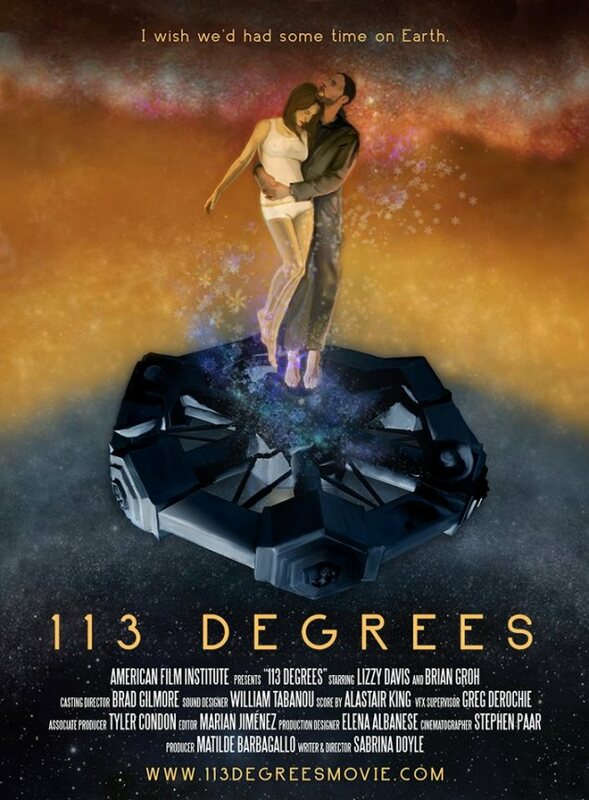 Recommended for SF fans with a weakness for tales of star-crossed love, the twenty-one minute 113 Degrees screens Monday (6/3) and Wednesday (6/5) as part of this year’s “Magnetic” BFF.